This was a project for a friend's office who earned a wood-related nickname. 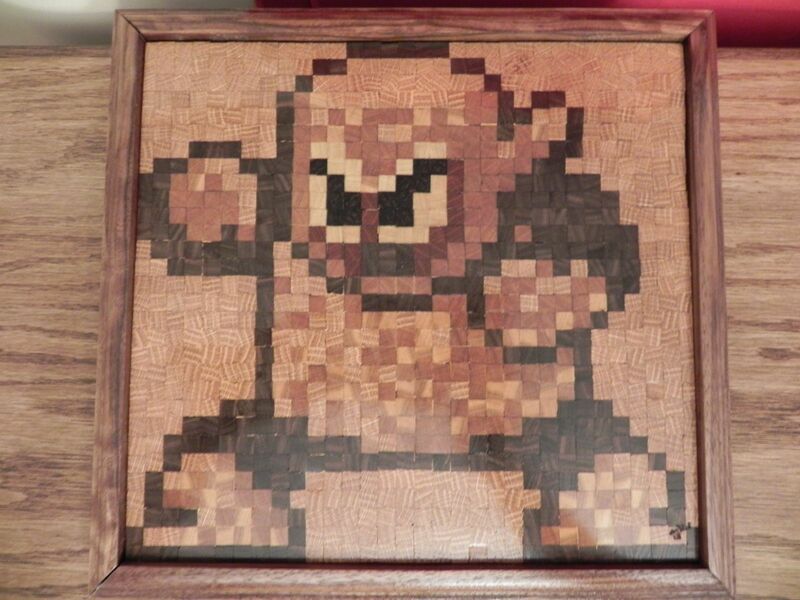 As an experiment in making 8 bit sprites out of wood, it seemed appropriate. 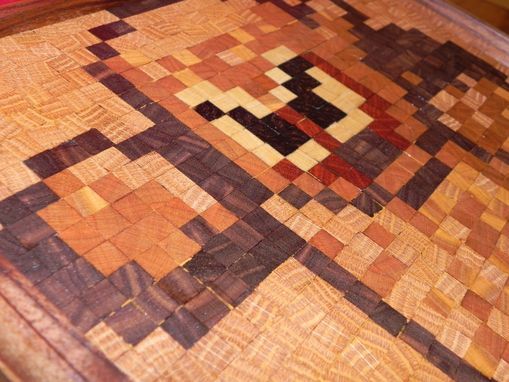 The picture is 30x32 pixels, amounting to 960 5/16" cubes cut out of oak, cherry, walnut, blackwood, poplar and bloodwood. Each one was attached individually along a straightedge and allowed to dry. 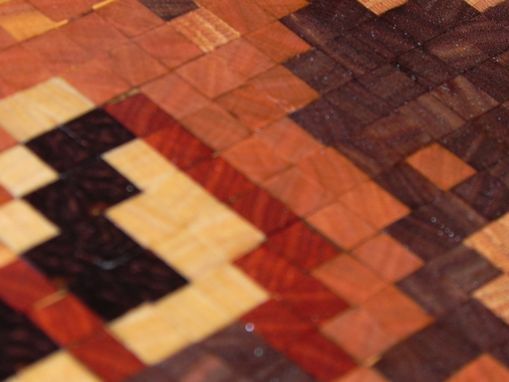 The final portrait was thickness sanded and finished with a few coats of danish oil to bring out the color variations.